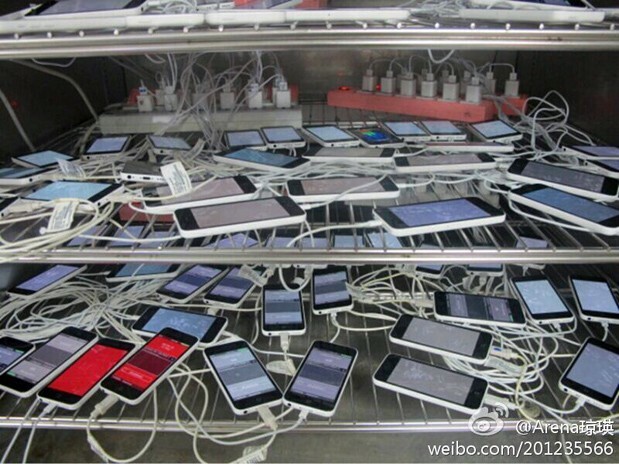 When we spotted this photo on French blog NoWhereElse, we were close to dismissing this as just a bunch of iPhone 5C knock-offs (the shanzhai industry works very fast), just as the site also speculates. But after digging around the original poster’s Sina Weibo profile, we deduced that this spy shot came straight out of Pegatron’s Shanghai plant, which matches what we’ve read in the recent China Labor Watch report on Apple. While it doesn’t explain what’s going on in the image, this appears to be a typical warm-up procedure to make sure the devices are fully functional before they are boxed up. We’ve seen this in factory tours before, but no photography was allowed in the production lines; which makes us wonder how this shot came out of a supposedly well-guarded environment. September couldn’t come any quicker for leaky Apple. Engadget + gdgt Live is hitting Seattle next week! Get excited, Seattle — we’re just a week out from our latest event in your fair city. And while tickets have been moving quickly, we’ve still got some spaces left. If you want to come hang with us at the Showbox SoDo on August 31st, all you’ve got to do is sign up at the source link below. We’ll have lots to keep you busy, like exhibits from folks like Outlook, Nokia and Logitech and a few editors on-hand to talk tech. We can’t wait to see you guys in a week! Not even a year after its inception, Facebook is killing physical Gifts. According to TechCrunch, the social media giant is ending its intermediary role for sending teddy bears, wine and chocolate (sounds romantic, no?) from its partners. Instead, it’s focusing on its own gift card, as well as redemption codes for iTunes credits and the like. Why? Well, aside from the cash the company will save, users simply weren’t buying physical Gifts all that much. The new Gift page will begin rolling out to ten percent of the site’s US userbase over the weekend, and the entire stateside population should see it within two weeks. It’s a little less personal, sure, but at least you won’t have to worry about getting your loved ones gift receipts. Electronic Arts is a mainstay in the game industry. From early days on the PC, pre-game consoles, to its current role as one of the world’s largest game companies, the EA name’s been synonymous with gaming. To stay in such a position, the publisher’s had to adapt to changing trends in gaming, as games moved from home PCs to game consoles, and now to the internet. The next console generation is no exception, with EA promising two of its largest franchises — Battlefield and FIFA — for the launch of both Xbox One and PlayStation 4 this holiday. And that’s to say nothing of EA’s investment in a nascent game studio composed of the people responsible for the Call of Duty franchise, Respawn Entertainment — a pretty major coup considering that those folks previously worked at EA’s main competitor, Activision. 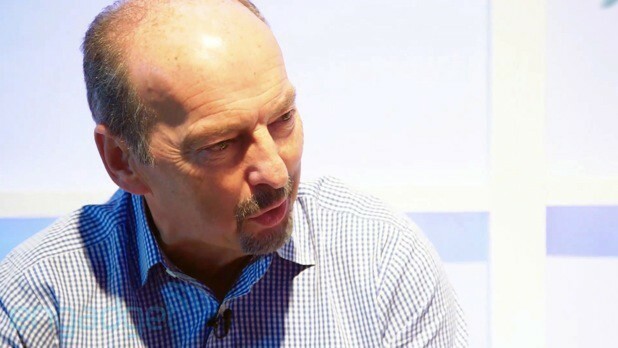 It’s with all this in mind that we sat down to speak with EA Chief Operations Officer Peter Moore at Gamescom 2013, not long after Moore held press attention captive in an hour-long presentation. He said his company’s current dedication to online functionality in its games is unmatched: “We don’t ship a game at EA that is offline,” he told us, an echo of his competition’s claims about the next generation of game consoles. Head below the break for a lengthy discussion with Moore on all things gaming in 2013. This entry was posted on August 24, 2013, 5:47 pm and is filed under Mobility. You can follow any responses to this entry through RSS 2.0. Both comments and pings are currently closed.